They got their names from the dirty snow amassed in the streets (sleet or slush) but in the Quebec form. 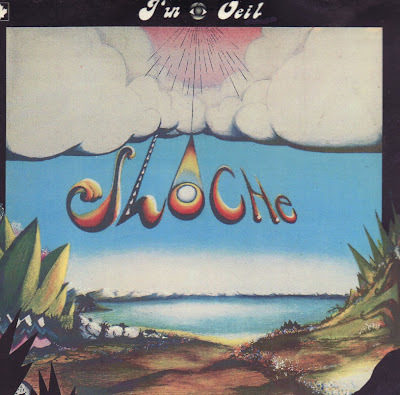 SLOCHE is one of those incredible bands from Quebec progressive explosion of the mid-70's that sadly only managed two albums. They sound like a cross of MAHAVISHNU ORCHESTRA, a bit of GENTLE GIANT but mostly like their compatriot the incredible MANEIGE or the emotional OPUS-5. Both their albums are absolutely successful, the former being slightly more symphonic than the second being more fusion. The lyrics are sung in French but they are not to present and do not have too strong Quebec intonations (accent). If you like the above-mentioned groups and are not afraid of a little adventure this is highly recommended. There are a few copies left at a well-known dealer on the web. Both albums have been released as CDs.